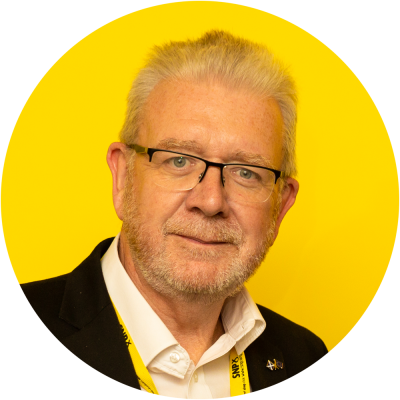 Below is the speech given by Constitutional Relations Secretary Michael Russell at SNP Conference in Glasgow. Check against delivery. When making a speech at conference – it is always best to look back to see what you said in previous speeches. Just in case you repeat yourself or contradict yourself – and Gerry Fisher (inevitably) notices. This is the fifth time I have updated conference on Brexit since I was appointed in August 2016. Looking back, I am in one sense struck by how little has changed – how little more we know about what now lies only six months ahead. Extraordinary that in that time the Tory UK Government has achieved so little, and made a mess of so much. But in another sense heartened by some things that have remained the same – and in particular the determination of this party, and of our First Minister not to be browbeaten, bullied, bulldozed or bludgeoned into simply “getting on with” what the worst UK Government in generations in the end decides to, or has to, do. Particularly as we did not vote to leave the EU and in a future referendum would make exactly the same choice. Heartened that we have, despite all the difficulties, remained a party and a nation with hope…as this conference is repeatedly re-affirming. Our job as the party of Government in Scotland is not to do others bidding, but to do Scotland’s bidding. To show leadership and to find the right way forward. To always bring hope for a better future. I still believe that to be true – in fact amidst the chaos it is more needed than ever. So the task today is to ensure that we continue to take a clear, level headed, rational – and hopeful – view of the way ahead. Rational choices are what politics is about. A rational choice is not whether to choose, or dump, a leader solely because she can dance onto stage. A rational choice is not one between a dreadful outcome and an unspeakably disastrous one. And a rational choice is not one which insists that unbounded opportunity lies ahead when actually every piece of evidence shows that only decline and decay are the possible outcomes from a chosen course of action. Convener, I am conscious as I go around Scotland of not bringing to each of the audiences I address much jollity. In fact I sometimes feel as I am providing, as those lines from Chesterton put it. And in so doing I am more than aware of the feeling of powerlessness that grips so many at this time faced with Brexit, a destructive, dysfunctional UK Government and an international situation that seems to grow worse by the day. But we are not powerless. Democracy makes us powerful. And we can devise the tools and strategies that give us power, and hope, even in the darkest of times. Today, Convener, I want to try and answer the three questions that I get asked most often. Firstly – what is going to happen? Secondly – what effect will it have on Scotland? And Thirdly – how can we get out of this terrible situation? Because by attempting to answer these questions we can take command of the situation and show the leadership that Scotland demands, and that the rest of the UK so clearly lacks. So what are the possible outcomes of Brexit? In one sense they are simple. We could stay in the EU, which is what Scotland voted for. But if we are forced to leave, for no matter how short a period, the only sensible, evidence led, option is to stay in the Single Market and the Customs Union. We know, as the UK Government knows, that the further we move from the current advantages of membership the worse the economic damage and dislocation. And if that movement is further than Single Market and Customs Union Membership, then the consequences are severe. Being in a Free Trade arrangement is a far cry from membership, and it will not only seem like that, it will feel like that too with shortages of labour, an erosion of consumer, environmental and work place protections, non-tariff barriers for some key products and a vulnerability to strong arm tactics in trade negotiations from others, especially the USA. And if the distance is even further, by taking the WTO option – the “no deal” option – then the dislocation and damage will be sudden, cumulative and long lasting. Shortages of many things we are used to, because of customs delays. Severe difficulties for businesses which export or which rely on complex supply chains. A withdrawal from these islands of key companies. An end to crucial investment from outside Scotland. And a fortress mentality from a hostile UK Government that is likely to see devolution as disposable. Of course the Prime Minister thinks she has another solution. Her “Chequers” proposals. Now it may be that in order to save her face – and keep her in office as the marginally better choice than any other Tory hopeful – the EU leaders may pretend that what might in the end be agreed has a live connection to them. And that possibility of some sort of fudge in which no one is much the wiser of what the terms of exit are, and what the terms of any future relationship might be is perhaps becoming the most likely next step. But no one should be fooled by that. The proposals on the table are still much, much worse than staying in and much, much worse than being a continuing member of the Single Market and the whole of the Customs Union. It is a fact that in all of the negotiations over the past two years the UK tactic has been to capitulate at the last minute in order to be able to move on to the next stage. That may be what is about to happen once more. But that tactic cannot be used for ever. If there is an exit agreement and a political declaration, then all it does is move everything to the next negotiating phase, that of securing a long term future relationship. And that was always going to be the hardest phase. So when, if it happens, the House of Commons, in its so called “meaningful vote” is asked to chose between that “blind Brexit” and the extremists favoured option, which will either be a no deal, or a weak Free Trade Agreement – not so much Canada Plus, more Canada Dry then we must make it absolutely clear to Scotland and to the wider world that this is a choice we can neither accept nor approve. Let me put it this unequivocal way: If there is no offer and no possibility, at the very least, of a Single Market and Customs Union outcome, either for the UK as a whole or for Scotland as a differentiated part of these islands, then there is no meaningful option being offered at all, and no option that can or will have SNP support. We will not be the midwives of Brexit, willing dislocation and disaster upon our country. Because, to turn the second question Convener, the outcomes for Scotland would be disastrous. It is revealing that the only sector of the Scottish economy that either the Prime Minster or Ruth Davidson talk about with regard to Brexit is the fishing sector. And in fact they only talk about one part of that sector – the large boats that work out of the North East and Shetland. But, in common with virtually all other sectors in Scotland, there are other key fishing communities and businesses which will be very badly affected by Brexit. In my own constituency those who catch and export shellfish – face huge difficulties if there are customs barriers of any sort. And significant parts of both the catching and processing sectors rely heavily on EU labour which is already voting with its feet. And so with fishing, Convener, so also with hospitality, with agriculture, with manufacturing, with transport, with energy, with research, with higher education, with environmental protection, with the third sector. In every part of Scotland, in every part of our national life, the choice between a blind Brexit and a no deal Brexit is no choice at all. Both present impossible challenges with regard to money, regulation and the flow of people which cannot be willed away by empty rhetoric of the type that we hear day in and day out from the Tory benches at Holyrood. And if that was not bad enough there is another threat looming from the Tory Brexit chaos. Last year, Convener, I pointed out from this platform that those who are keenest on Brexit are also those who dislike devolution the most. Their voices are loud and some of them are heard at the heart of the UK Government. These extremists regard anything that interferes with the so called “sovereignty of Westminster” as dangerous and unacceptable. They want rid of any voices that speak of modern democracy, modern constitutions and modern trading arrangements. In fact modern anything. A no deal Brexit is their ideal destination, allowing them to pretend that Britannia still rules the waves. And they will waive the rules to get it. So I fear that if they have their way it is not just Europe that is dispensable. Devolution is dispensable too, as are Scotland, and Wales and even Northern Ireland – where the threat to devolution is also a threat to peace and security. And if they see an opportunity – perhaps through their talking up of a “national emergency” as a result of a no deal – then they will fatally undermine devolution, as the current Prime Minister has done since she came into office. And don’t expect the Scottish Tories to stand in their way. They always put party before country. In that regard they are already behaving like turkeys excited at the prospect of an early Christmas. So finally, Convenor, what is to be done. What we can we do faced with this extraordinary range of threats to our country, to our wellbeing, and to our future? Well let’s start by taking a leaf – or at least a quotation – out of Labour’s current play book. When I look out from this platform I see the largest political gathering of activists that will be held anywhere in these islands this autumn. Contrast that with the rickle of those sitting to listen to Ruth Davidson or David Mundell last week. Scotland is many. Scotland is not powerless if it chooses not to be powerless. But how it uses its power and how it grows that power are the key issues. Both must be done rationally and intelligently. We are many, but we must use that size with the utmost care for all our people. It may be that the best next step is to help, if we can, to ensure a people’s vote though the people of Scotland have already voted and made clear their desire not to leave the EU. It might be that an election is a more likely outcome, one in which, I would hope, the whole benighted Brexit project would be at the centre of contention. But neither of those routes are ones that we should take without also ensuring that our view of an outward looking, talented, inclusive, growing and capable Scotland is one which we have fully and tirelessly articulated, communicated and for which we have built strong, majority support. Deciding the when can only come after agreeing on the why. Because the why isn’t just about grabbing a lifeboat in choppy and dangerous seas. The why is about a route to a better Scotland, in a better Europe influencing the creation of a better world. The why is not only about giving power to those that are powerless but also about seeing and using power in a different way. The why is about becoming a good neighbour and showing to that neighbour that there is an alternative to looking backward and fearing the future. Convener I am conscious that I have quoted two English poets in this brief contribution, and that I am going to finish with a third. But that choice is perhaps the sincerest tribute that I can give to our neighbours. The English language is one of the great shared inheritance that we have with our neighbour. Admittedly the American poet TS Elliot maintained it was spoken best in Edinburgh (and in Richmond Virginia) but we should always be happy to celebrate those who have used it to the greatest – and often most radical – effect. Indeed their radical thought is the best and strongest contrast to the empty jingoism of the Tories, the backward looking insularity of Labour and the vacuous posturing of the Lib Dems. I believe that our neighbours are no more insular than ourselves. They are being badly led and badly deluded by those leaders. I hope by our honesty, our vision and our ambition we can help them to come out of that collective, and damaging, delusion. Delivering independence – the choice that Scotland will have to make in the end to assert its vision of the future – is the mission of this party. It is not a threat to our neighbours but a means by which we can find a way to work better together, as equals. I chose independence when I joined the SNP some 44 years ago and I intend to see it happen. I am still full of hope, and the more so when I look at how this party has changed and grown over all those years – and goes on growing. But it can only happen when we find the right moment and the right arguments to make it happen. Our job as a party and as a Government is to both make sure that Scotland flourishes, no matter the circumstances but also to ensure that – at the right moment – the choice of independence can be made. The right moment – not the most comfortable moment or the moment that best relieves our natural impatience. The moment at which our country is persuaded, ready and determined to win. These are difficult times. They may become more difficult still and that is why the Scottish Government is working so hard to try and ensure that even in the event of a disastrous no deal we will be able to offer some mitigation and some protection. But given these unlooked for, and unwelcome circumstances, we in this party – the guardians of all Scottish interests – have an even greater obligation and duty to our fellow citizens. The duty of leadership. The duty of setting an example. The duty to give hope.